Literature rack holds (40) DL (210 x 99mm) pamphlets within 10 pockets on both sides of unit! 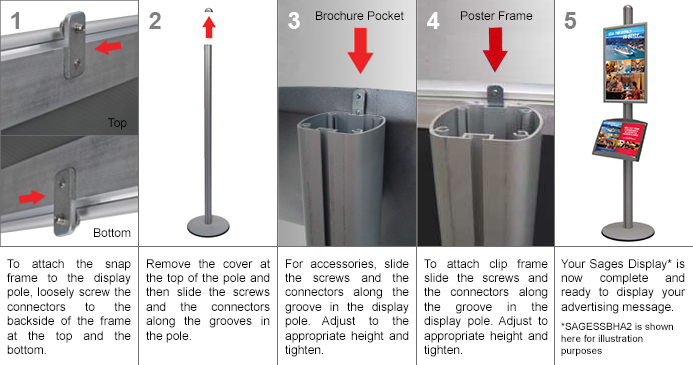 Using this brochures holder at your business is an easy way to provide literature to potential clients to take home with them to learn more about your goods and services. 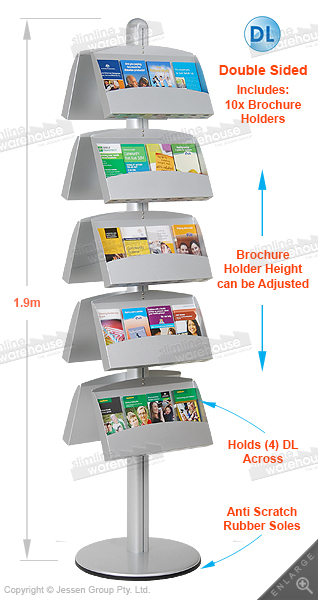 These leaflet displays feature (10) pockets, 5 on each side, that are angled to make reading and taking the pamphlets simple. These metal pockets are also adjustable along the centre pole so you can easily position them exactly as you need! 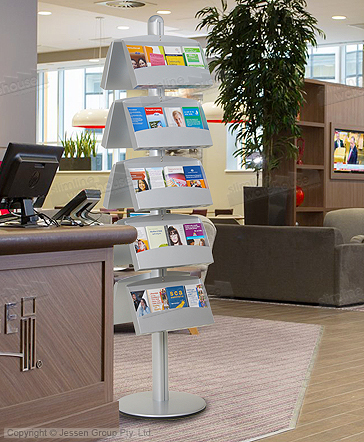 The brochures holder, like literature racks and acrylic or plastic stands, is meant to hold DL (210 x 99mm) leaflets in the pockets, with up to (40) total able to be displayed! 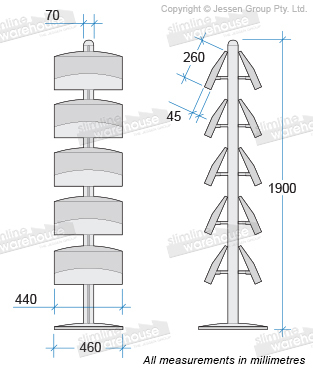 The entire stand is made from aluminium to provide a strong stand for use in public areas. The silver finish provides a professional look that easily fits in with near any décor. These stands also have an anti-scratch rubber sole, helping to prevent damage to the floor during use. Order this display today for use at your retail store, exhibition hall, car dealerships, welcome centre, real estate agency, and many other locations!